Welcome to the finnish Gallery of Hannu Huttu, the Wild- and Nature photographer. 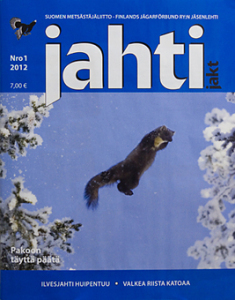 Most of the wild- and nature publications use the photos of Hannu Huttu. Now the photos can be ordered from the Gallery in a convenient way. Acquaint yourself with the delivery- and use conditions under the Instruction- handle. There are already more than 20000 photos in the Gallery and it will be constantly filled. The photos will also be found in the large transparency archives, which includes thousands of photos.